From Reno to Charlotte to Milwaukee, people have started talking about Joe. Not a steaming cup of coffee, but St. Joseph, who was the earthly father of Jesus and a carpenter by trade, now considered the patron saint of home and family in the Catholic Church. Folklore and tradition allege that burying a St. Joseph statue on a seller’s land will expedite the sale of the home. The practice seems to have begun with a nun who, in the 16th century, buried a St. Joseph medallion and prayed over it, seeking the saint’s intercession before God on the nuns’ behalf to procure land for their new convent. And it’s a tradition that has been creating a buzz online and getting national media attention over the past several years. It would probably be better to bury a saint of patience or financial prudence in your backyard, or maybe a statue of a real estate guru. Somebody should start marketing statues of the guy who’s made all the money off this tradition – Phil Cates, founder of St. Joseph Statue in Modesto, CA. 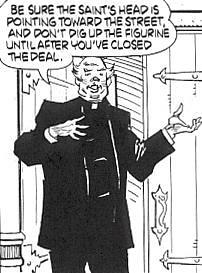 After all, he is obviously blessed in the area of selling things for a profit. I bet he could intercede to God on my behalf. Or maybe as one blog commenter suggested, we should just bury our real estate agents. serves as a physical reminder of the homeowner’s faith in God to provide for their financial needs, then it is faith. If the statue is buried in the yard and never thought of again like spontaneously buying a lottery ticket while filling your tank, that would be superstition. 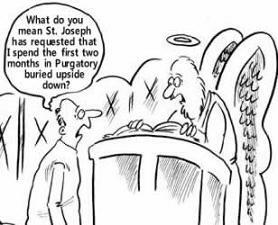 And if God and St. Joseph are not thanked profusely when the house sells, or if the poor fellow is left buried in the yard to get muddy and frozen and forgotten – well then that’s just plain mean. 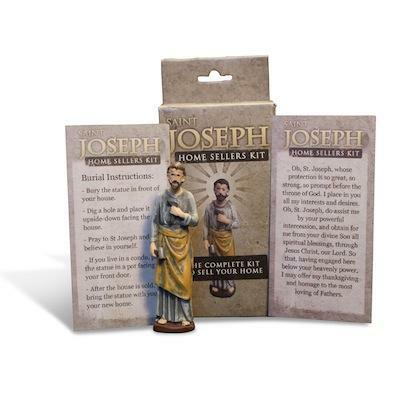 So what do you actually get in a St Joseph Home Selling Kit? 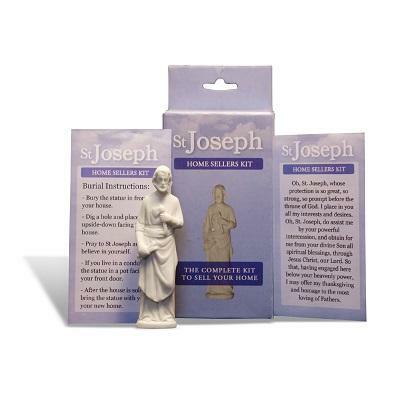 Well, some retailers sell the statue, complemented by the following: a small 3-4” St Joseph Statue, Special Prayer Card, protective storage bag, burial instructions, and sometimes a prayer guide or history pamphlet. Now you can even buy those kits with two saints included. Totally Catholic.com claims that…” We…now have five other versions available, including our new “Miraculous Double Novena St. Joseph/St. Jude house selling kit” for that house that is especially hard to sell!” (St. Jude is the Patron Saint of the lost cause.) Apparently one holy saint isn’t always good enough. What’s the price for one of those house selling statues? 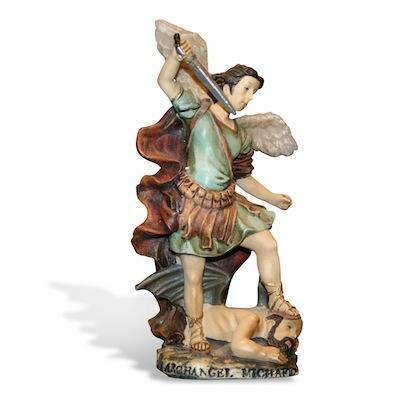 Typical statues and home-selling kits seem to sell online for anywhere from $1.75 to $25.00 online, with the majority being between $8 and $13. If you would rather read a book than surf the web, check out Stephen J. Binz’s 2003 paperback titled St. Joseph, My Real Estate Agent: Why the Patron Saint of Home Life is the Patron Saint of Home-Selling.